Arriving in Charleston USA, I initially put down the appearance of two breakfasts in one morning on my itinerary to jet lag. I checked again – no, I was definitely supposed to enjoy breakfast at the Hotel and then brunch at the Hominy Grill on my first morning. I went for it – in the interests of research of course – though I did walk rather than drive to the Hominy Grill in the hope that the 40 minute stroll would help burn off some calories and build an appetite. 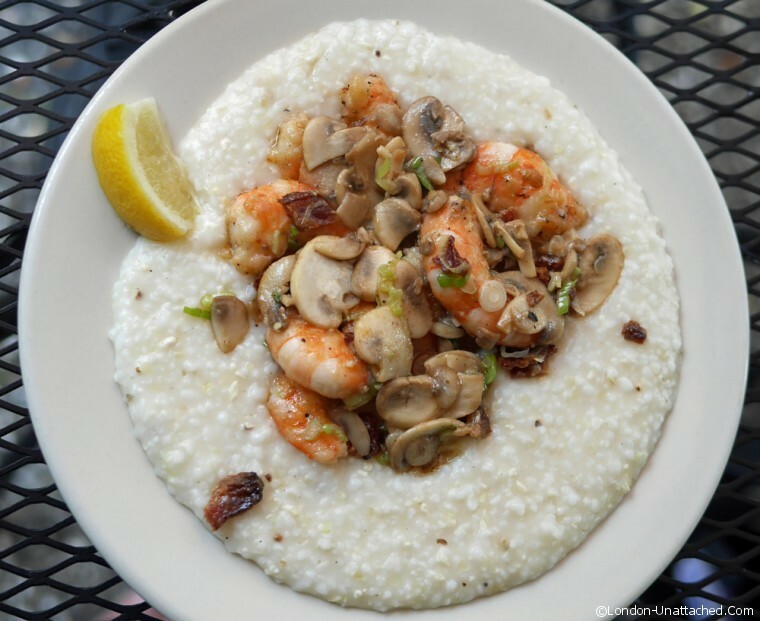 It was, I suspect, the food on other diners’ plates rather than genuine hunger that encouraged me to order Shrimp n Grits – and it was definitely the pretty mimosa on the table next door which inspired that choice of drink. Of course, once the Shrimp n Grits arrived, with plump shrimps in a spicy bacon and tomato sauce on the creamiest bed of grits, I realised a Bloody Mary would have been a far better drink. I’m kicking myself now for not trying to make my own Shrimp n Grits to accompany this american style Bloody Mary made with clamato and hot sauce. But, I have to admit it went EXTREMELY well with the bacon roll I made. A dislike of eggs means that I tend towards bacon and sausage based brunches, or on rare occasions when I have guests, a kedgeree made with quail eggs. Bacon rolls always seem like an indulgence, although since I trim most of the fat off, use smoked back bacon and grill my bacon to a crisp rather than frying it, that’s probably not the case. 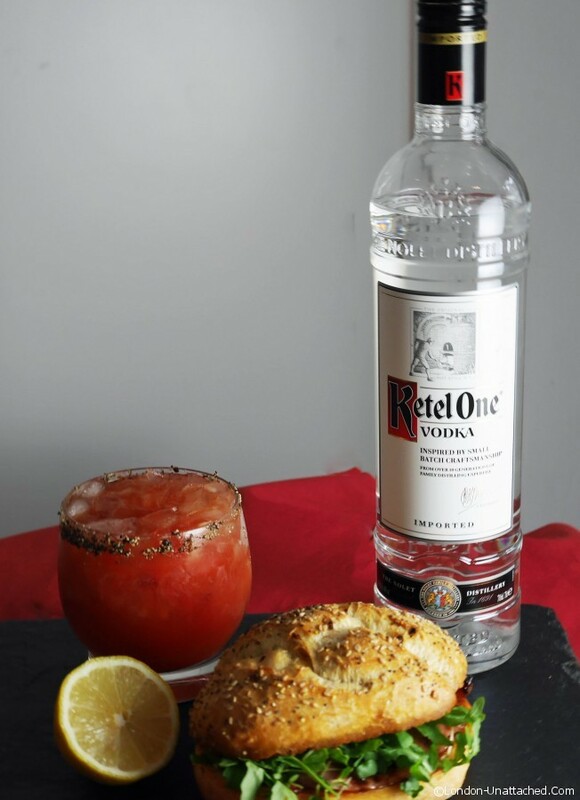 Paired with this spicy and tangy Bloody Mary with a good kick from the Ketel One vodka it was the perfect easy brunch for one. I’ve always liked bacon with tomato, so it’s not suprising that this particular iteration worked so well. What’s more it has got me hungering for more brunch opportunities. Ketel One have a great interactive brunch infographic which will let you create your own perfect brunch and I will definitely be looking there for inspiration in the future. Perhaps I SHOULD make it a Sunday morning tradition. 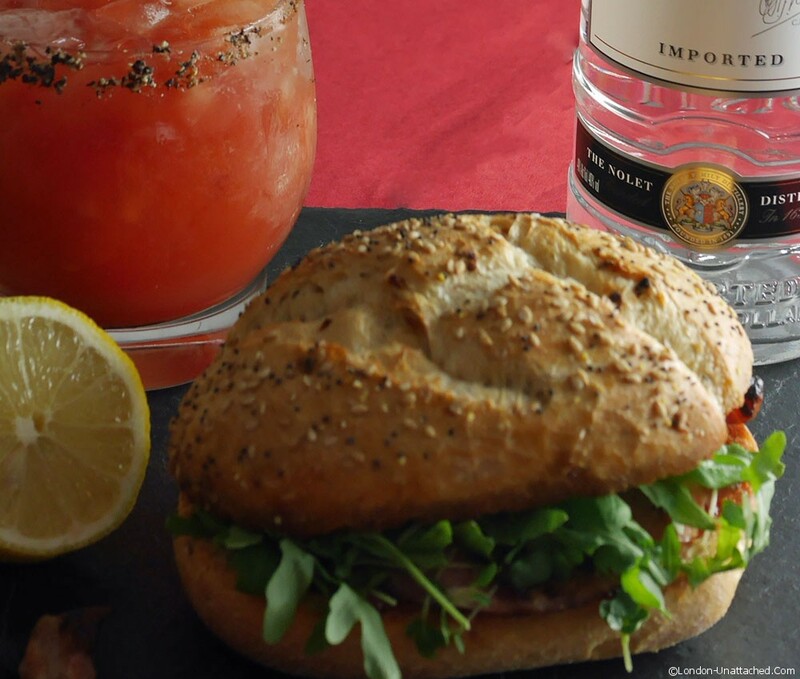 If you’d like to try this uniquely American style Bloody Mary, you’ll find the recipe on the infographic under ‘USA’. 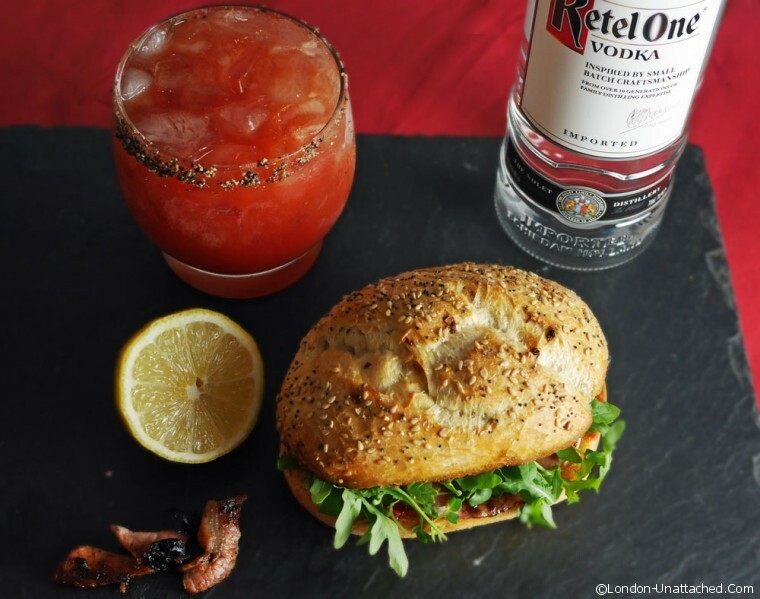 Ketel themselves have paired it with pancakes, maple syrup and bacon, so there’s another idea for next time.